We are used to queens, princesses, duchesses and first ladies being scrutinized for their sartorial splendor (or lack thereof), but this is really nothing new: public women, deemed so by their proximity to power or in some cases their own power, have always been subject to the fashion police. 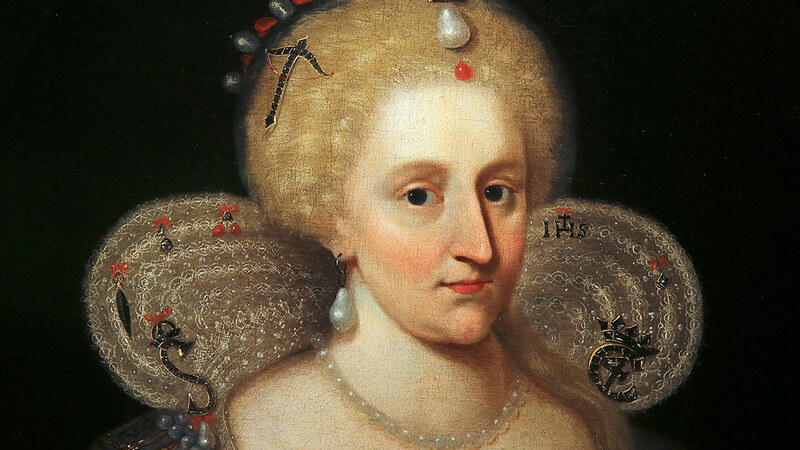 Queen Elizabeth’s projected image seldom escaped the notice of her contemporaries, and so too did that of her successor’s wife, Anne of Denmark, who was born on this day in 1574. When I first started studying English history I formed a perception of the Queen Consort of James I as sort of an English version of Marie Antoinette, concerned more with her dresses, jewels, and court life than her subjects. This was the historical view, formed by generations of historians who no doubt (at first) disliked Anne’s conversion to Catholicism, and easily perceived her clear delight in the staging of elaborate masques at court during a time of intensifying scornful Puritanism. And then there are her portraits, projecting an image of a lady that was not particularly beautiful, but certainly very well-dressed, all the way up until her death in 1619. 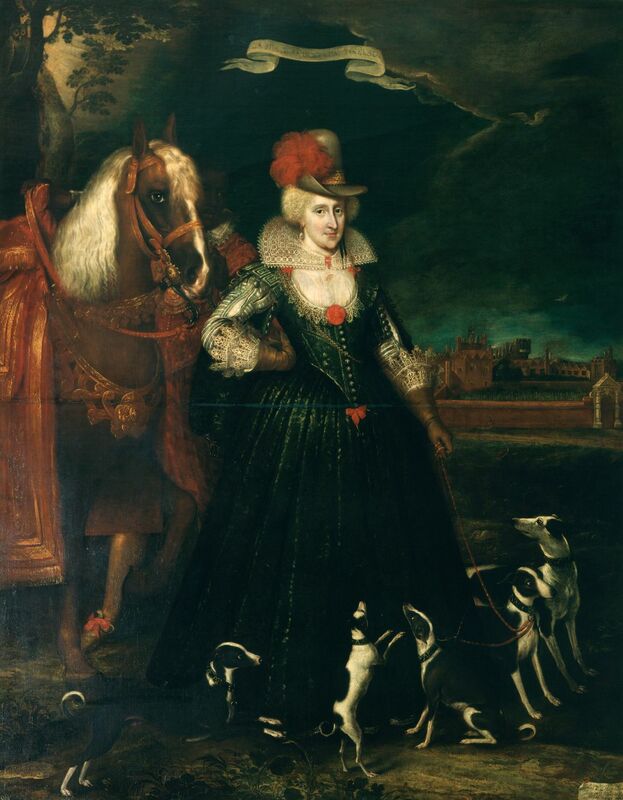 Anne of Denmark as Queen of Scotland, Cornelis Janssens van Ceulen, Royal College of Physicians, Edinburgh; Anne of Denmark, 1614, attributed to Marcus Gheeraerts the Younger (c. 1561-1636); Anne of Denmark, 1617, Paul van Somer, both Royal Collection Trust/© Her Majesty Queen Elizabeth II 2014. 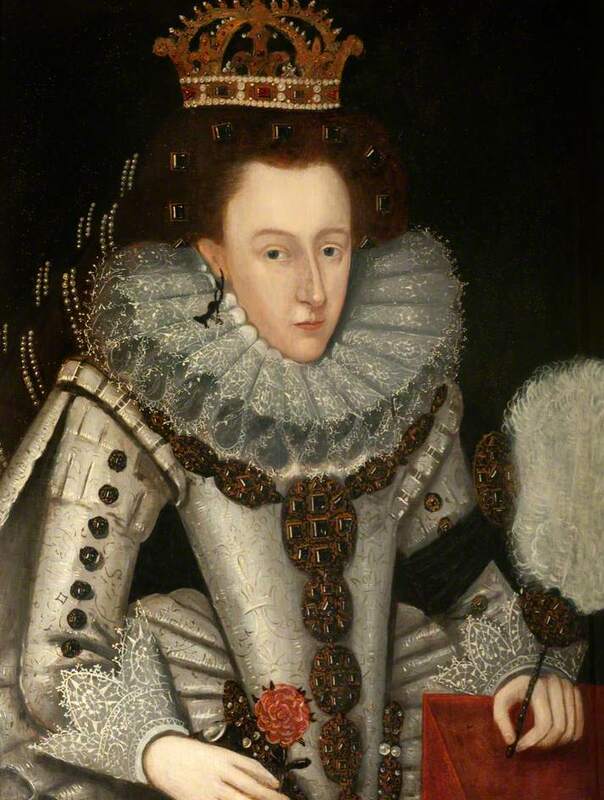 After she became Queen of England in 1603, Anne was able to dip into the Great Wardrobe of her husband’s predecessor as well as the caskets of royal jewels, but she also fashioned her own style by acquiring lots of new things: consequently you see an evolution from the “stiffer” Elizabethan style to a more elegant Jacobean appearance, so well illustrated by this last hunting portrait. 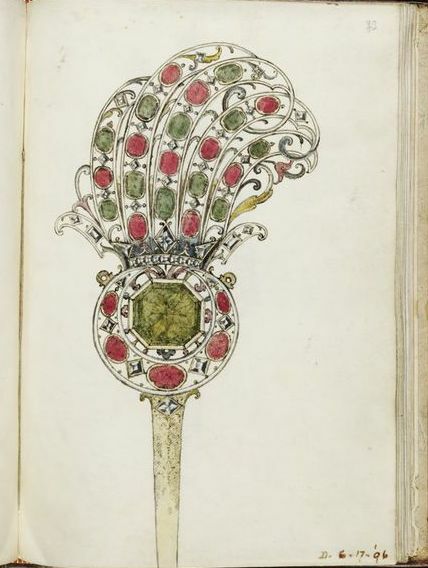 But this transition came at great cost, noted by contemporaries and historians alike: in her article “Text and Textiles: Self-Presentation among the Elite in Renaissance England”, Jane Stevenson observes that “Against Elizabeth’s Great Wardrobe expenses of £9,535 in the last four years of her reign, we may set expenses of £36,377 annually for the first five years of James’s reign (a figure which does not include Queen Anne’s bills, though it does include clothes for [their sons] Henry and Charles). 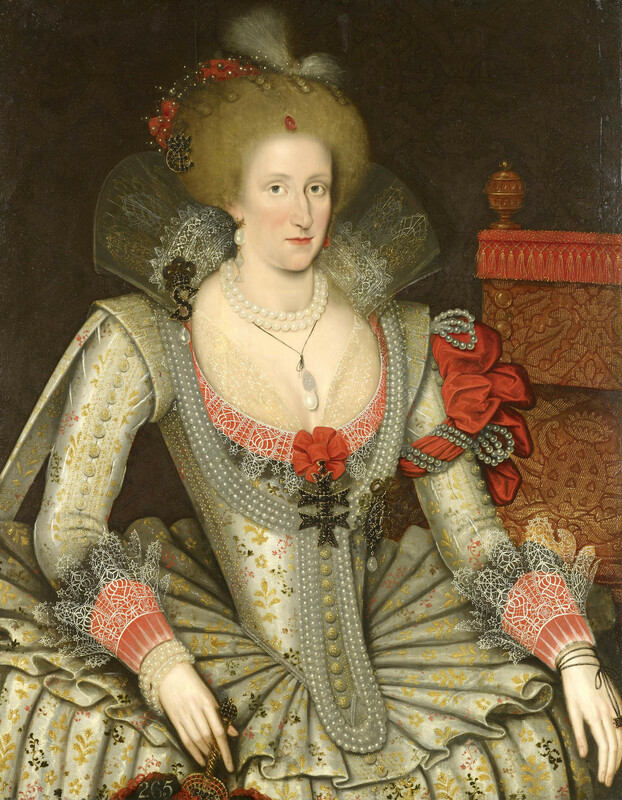 Towards the end of her life, Anne of Denmark had a wardrobe grant of £8,000 a year; additional, presumably, to what she chose to spend out of her general income, which was considerable.” James actually spent more than his wife on clothes, though she might have spent more on jewels: there is ample indication that she saw herself as a patron of the arts and collector, so this might have been rationalized as a national contribution rather than a personal extravagance. After all, upon his succession to the English throne, her husband proclaimed the crown jewels to be “individually and inseparably for ever annexed to the kingdome of this realme”. 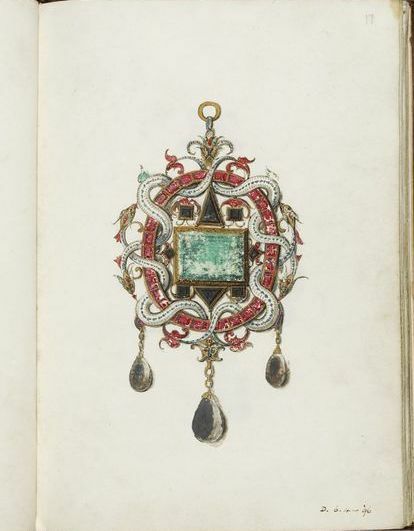 Whether for queen or realm, one great source–in the collection of the Victoria and Albert Museum– that gives us an insight into Jacobean style is the “Book of Jewels” of Dutch jeweler Arnold Lulls, a catalog of styles he presented to Anne, who clearly loved her brooches. 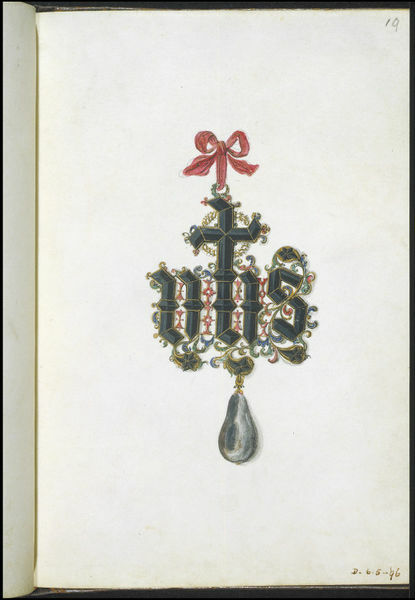 Queen Anne and her brooches, including one similar to the sacred “IHS” Christogram pictured in the Lulls book. This entry was posted on Friday, December 12th, 2014 at 1:40 pm	and tagged with Art, England, Fashion, jewelry, Stuarts and posted in Culture, History. You can follow any responses to this entry through the RSS 2.0 feed.